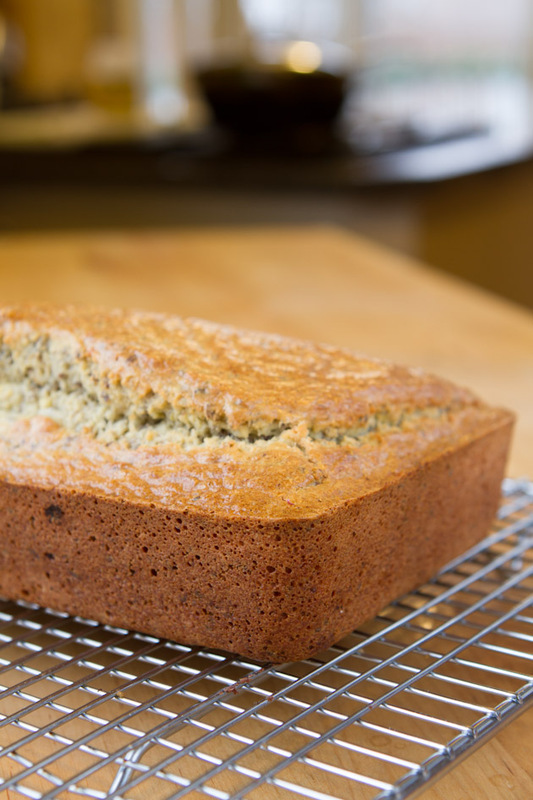 Homemade grain-free bread that’s free of yeast and highly versatile! 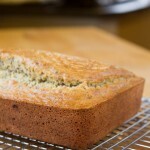 Preheat oven to 350F and oil a 9.25×5.25 loaf pan with a dab of coconut oil or olive oil. Add eggs to your blender and blend until foamy and light, about 4 minutes. Add remaining wet ingredients, pulse, and pour into a large bowl. Pour mixture into prepared loaf pan and bake for 30-32 minutes or until top is golden and a toothpick inserted into the top of the loaf comes out clean. Remove from the oven and remove from the loaf pan immediately. To do this, flip it upside down and tap the bottom of the pan a bit. If oiled well enough, the loaf should pop right out. If not, use force. Doesn’t matter if it breaks, you’re making stuffing out of it anyways. I have not tried to make this recipe without eggs. If you do, I would recommend splitting the recipe in half and making two loaves instead of one so that the mixture can fully bake through. I’m not sure it would work completely, but if you try it, let me know!